We want every stay at Backus Hospital to be as pleasant and comfortable as possible. 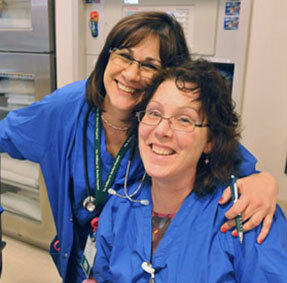 Our health care team is dedicated to anticipating and exceeding the needs of patients and families. After arriving at the Hospital, you will be taken to your room and shown around by a member of your healthcare team. If you need help or want to talk to a nurse, use the call bell/intercom system attached to the bed in your room to alert a nurse, who will come to your room as promptly as possible. If you think you are experiencing an emergency, please tell the person answering the call that it is an emergency. Otherwise, please allow a few minutes for the nurse to arrive. Making Discharge Planning and Social Services available to patients, their families and significant others. Treating you with compassion from the bedside to the billing office. You have the right to make health care decisions about the medical care you receive. Backus Hospital is committed to making your stay go as smoothly as possible by preparing even before your arrival. Upon discharge from the Hospital, you will receive a bill for services. The Patient Accounts Department will assist you in processing your insurance and Hospital bill. 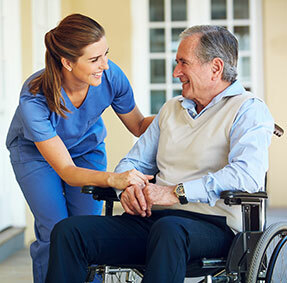 The purpose of the Care Management team is to make Discharge Planning and Social Services available to patients, their families and significant others to enable them to deal with the impact of illness on individual and family functioning, and to achieve maximum benefits from health care services. All children who are patients at Backus Hospital receive comprehensive and advanced pediatric care to ensure their well-being and to give parents peace of mind. Hartford HealthCare has a website that is designed to help you understand the cost of your care. The site shows the charges for most procedures or other services at each Hartford HealthCare hospital. The William W. Backus Hospital’s Health Information Department is the administrative office of the hospital responsible for ensuring that patients’ medical records are complete, accurate, confidential and readily available for future patient care and clinical communication. You and The William W. Backus Hospital are partners in your medical care, and the Hospital encourages your active participation in your care. Please do not hesitate to ask questions or bring your concerns to the attention of your caregivers. At Backus, we monitor national data, combined with our own internal benchmarks, to make improvements in real-time.